Having published our article on the rise of the private auction buyer, it has been interesting to see some of the very relevant comments made about how the situation may develop. Having seen many cars reach such dizzy heights recently, many trade buyers are now convinced that there is a good proportion of private buyers who have been so seduced by the auction propaganda that they are driving prices to a wholly unrealistic level. They are creating the perception that because they are not buying from a dealer they are saving £000s on a car purchase when in reality they could actually be paying retail prices, or more, but without the back up of the traditional outlet. The picture may in fact be a lot more complicated. 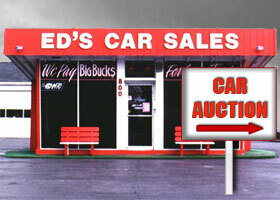 As the OFT launch their investigation into why complaints about used cars continue to rise it may mean that traditional dealers need to up their game to win back customers to their showrooms, tempting them away from the perceived bargains at the auctions, which many car buyers are seeing as being worth the risk. And don’t forget the auction buyers fees and storage charge if you are delayed in pick up! These add-ons are often overlooked when comparing.